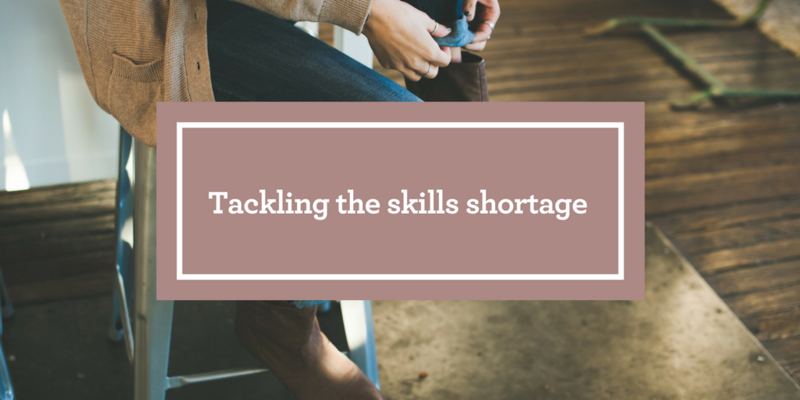 Here in Jersey, the skills shortage is magnified due to licensing laws and restrictions on employment. Rarely is the topic out of the news with some sectors like hospitality finding it even harder to find skilled workers. Every sector, even finance, is feeling the pinch when it comes to sourcing and hiring talent to meet the growing demand for skilled workers. Therefore, employers have to be proactive in addressing the gap - attracting and retaining new talent is a big part of a company HR strategy. At Kendrick Rose we have seen how employers go about finding the best candidates for their business. Our work with the IOD Work Shadow Scheme is one such example of employers becoming involved with students who are seeking careers. Furthermore, we see employers offering careers talks and shadow/work experience schemes to help prepare school leavers for the world of work. With school holidays looming it's a good time for families to be thinking of some kind of work experience for their children. Many of our clients open up their offices to school pupils, giving them the opportunity to speak to team members and learn more about a career their sector, this way students can learn about a diverse range of career paths and doors into their industry. We see many employers becoming part of the dialogue about the positive impact of schemes like the IOD Work Shadow scheme. This demonstrates that they make good business sense in addition to offering school leavers and other young people great opportunities. Students are able to give back by sharing their experiences and what skills they’ve learned in a blog, company Facebook page or other social media channels. At KR we are happy to be part of a conversation that positively promotes apprenticeships, internships and vocational training to our business leaders. If your organization is interested we can help get the wheels in motion. We actively seek quality candidates and help them find the right match. If you are looking to change roles please contact us for a confidential chat.